The Good Shepherd Orthodox Church is hosting this event, which is open to the public, parishioners and students. A range of presenters will speak on various aspects of Orthodox spirituality and sacramental life. Children will be catered for with a program of craft, games and story time. A light lunch and refreshments will be served. A children’s program is also available for primary-aged students. 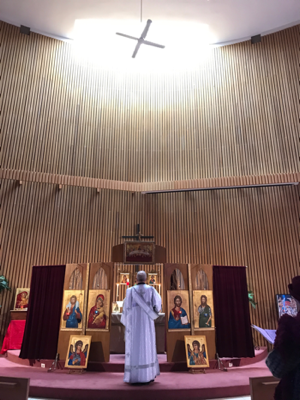 9:30–9:50 am What is the Divine Liturgy? Fr. 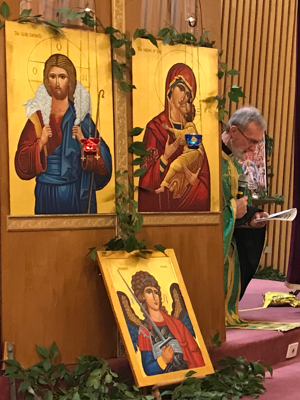 Geoff is interviewed by Bobby Maddex of Ancient Faith Radio regarding the history of The Good Shepherd Orthodox Parish and the up-coming Exploring Orthodoxy weekend. Fr. 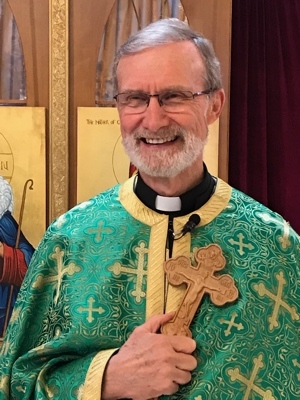 Geoff has been the Parish Priest of The Good Shepherd Orthodox Church since its inception in 2004. 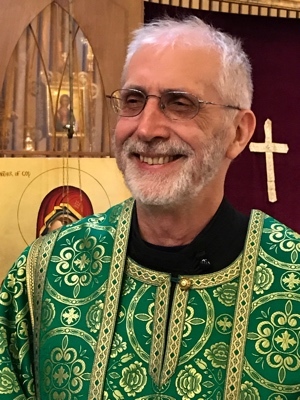 Following a career in the British Army, being an Anglican chaplain to the Australian Army and Anglican parish priest in Melbourne, he was ordained as an Antiochian Orthodox priest 18 years ago. Together with his wife, Janet, Fr. Geoff specialises in championing Orthodoxy in English, showing people how to give thanks to God for everything and acquire the Holy Spirit. Daniel is the Chairman of the Parish Council at The Good Shepherd and an Assistant Lecturer in the School of Mathematical Sciences of Monash University, where he undertook his doctorate. He serves reading the epistle each Sunday and singing in the choir. Daniel comes from a Pentecostal background and is currently undertaking Orthodox theological studies. Daniel’s career includes service in the Australian Army, teaching English in Japan, and working in vineyards in the Yarra Valley. Sub-Dcn. 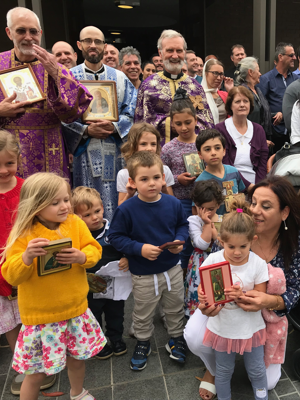 Timothy has served at Holy Transfiguration Orthodox Church at Belgrave Heights in recent years and more recently at The Good Shepherd. 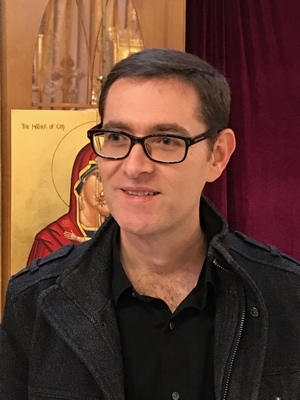 An experienced secondary school teacher of English and Religious Studies, Tim has completed additional post-graduate qualifications in Religious Education and Literature and has commenced Orthodox theological studies. He was raised by Pentecostal missionary parents in South America. Earlier this year Tim convened the ‘Timeless Wisdom’ Lenten retreat. Dcn. Nicholas was received into the Orthodox Church 30 years ago. Ordained a Reader and in 2013 a Deacon, he assists Fr. Geoff at all of the liturgical services at The Good Shepherd. Employed as a teacher of vision-impaired primary and secondary students in Melbourne, and a keen student of theology, he liaises with the Sunday School Director to ensure quality resources are used. Dcn. Nicholas’ wisdom is appreciated by those who hear his sermons, and those in attendance at the weekly Orthodox Christian Fellowship. Fr. Tony was raised as a Lutheran and served as a pastor in the Lutheran Church and a priest in the Anglican Church before being chrismated into the Orthodox Church in 2007. 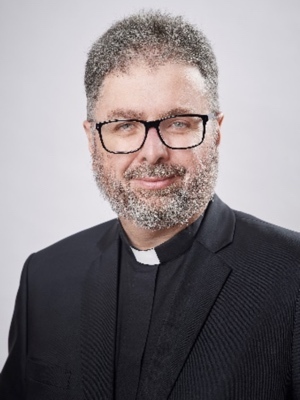 He has a Master of Theology majoring in the Scriptures from Luther Northwestern Theological Seminary (now Luther Seminary) in St Paul, Minnesota and a Master of Arts (Liturgy) from the Australian Catholic University. 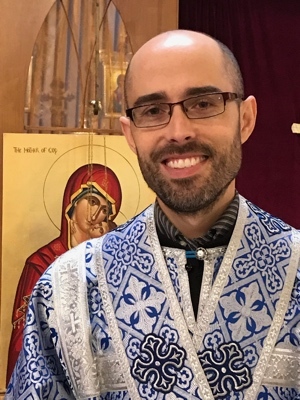 He was ordained in the Orthodox Church as a deacon in 2015 and as a priest in 2016.